A bill that gives new state workers a choice between the standard defined benefit pension plan and a defined contribution 401k plan failed in a State Senate committee this week. The legislation, authored by East Bay State Sen. Steve Glazer, was tailored for younger employees who tend not to stay in their jobs for long periods, as opposed to previous generations, he told the State Senate Public Employment and Retirement Committee on Monday. The University of California instituted a similar plan for its new workers in 2016. Thirty-seven percent of which chose the defined contribution 401k plan, said Glazer. The committee voted, 3-1, in opposition to Senate Bill 1149, likely mothballing the plan for this legislative year. 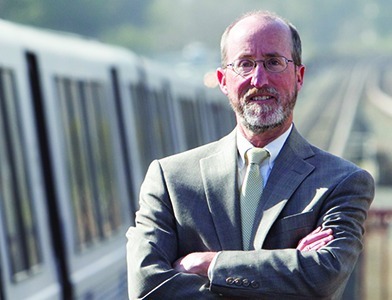 Glazer, a well-known target of labor unions following his consistent opposition to BART strikes, also felt strong push back to his pension bill. Terry Brennand, a representative for SEIU California, said 401k plans were never meant as a replacement to defined benefits plans, only to supplement them. “This is a disaster waiting to happen,” he added, shifting risk to employees and place them in a vulnerable position. A recession, for instance, could risk wiping out their savings, he added. Posted in 401k plans, defined benefits plan, recession, SB 1149, SD7, SEIU, State Senate, State Senate committee, Steve Glazer, unions. Bookmark the permalink.